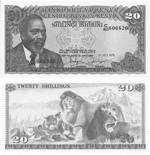 Jomo Kenyatta (20 October 1891 - 22 August 1978) was the leader of Kenya from independence in 1963 to his death in 1978, serving first as Prime Minister (1963-1964) and then as President (1964-1978). 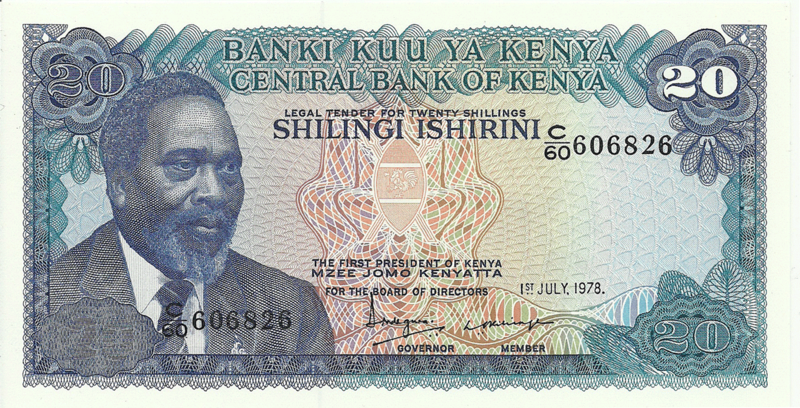 He is considered the founding father of the Kenyan nation. 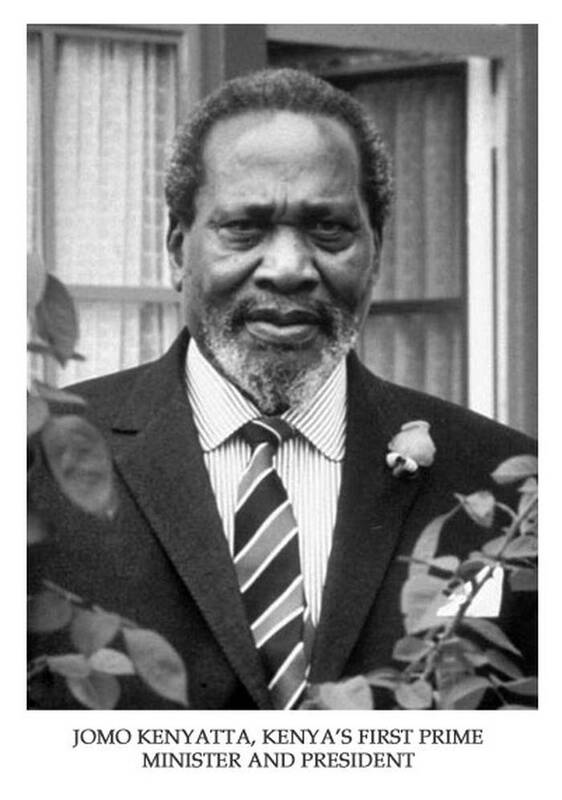 He was a well educated intellectual who authored several books, and is remembered as a Pan-Africanist. 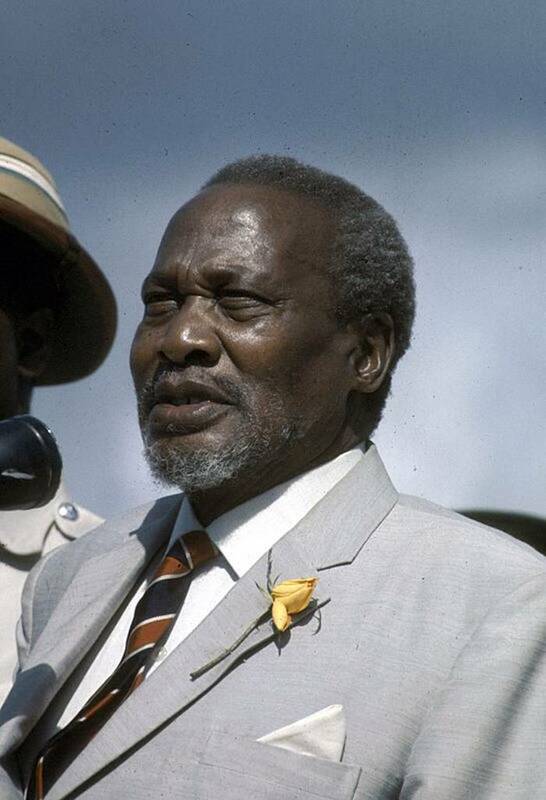 He is also the father of Kenya's fourth and current President Uhuru Kenyatta. Numerous institutions and locations are named after Kenyatta, including Nairobi's Jomo Kenyatta International Airport, Kenyatta International Conference Centre, Nairobi's main street and main streets in many Kenyan cities and towns, numerous schools, two universities (Kenyatta University and Jomo Kenyatta University of Agriculture and Technology), the country's main referral hospital, markets and housing estates. A statue in Nairobi's center and monuments all over Kenya stand in his honour. 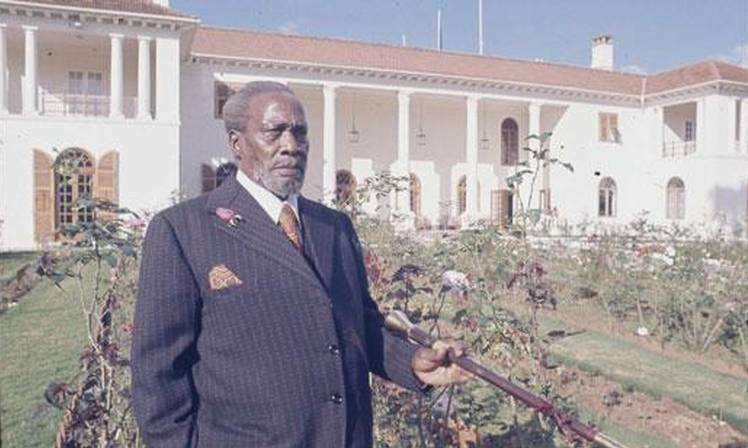 Kenya observed a public holiday every 20 October in his honour until the 2010 constitution abolished Kenyatta Day and replaced it with Mashujaa (Heroes') day. 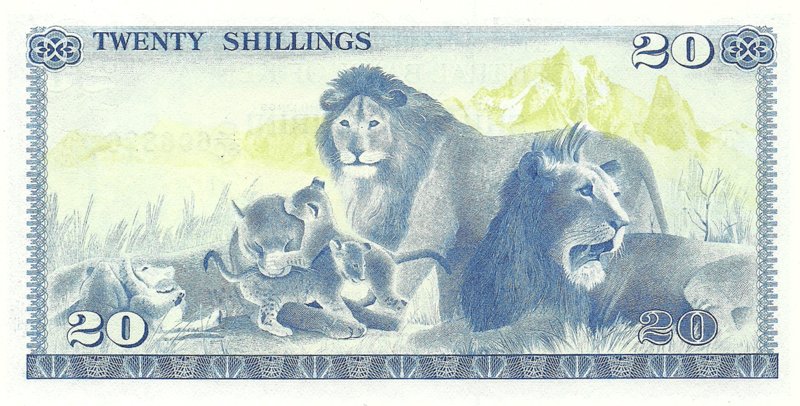 In the center is a white rooster from the emblem of Kenya. White rooster with an ax, according to local customs, represents a new and prosperous life. 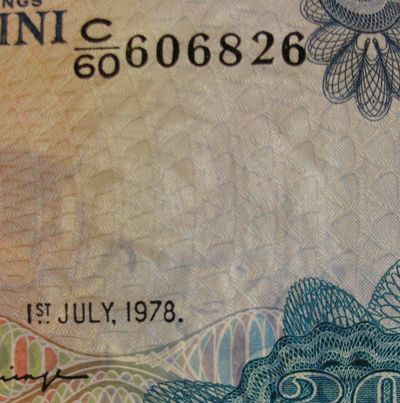 Denominations in numerals are in all corners (transparent are in three corners, in top right corner - white). In words centered. Denominations in numerals are in three corners. In words centered, on left side.